What is going on this weekend in Chattanooga? The weekend is here! The weekend is here! This time of year seems to be the busiest of seasons with weddings, vacations and outdoor adventures. This weekend in Chattanooga you can relax and enjoy a little bit of downtime as you gear up for all the summer has to offer. Here are your best bets for a fun weekend in Chattanooga. Everyone knows by now we love the Nightfall Concert Series. There is really nothing more Chattanooga than the weekly block party held downtown. People gather with their kids, dogs and friends to enjoy live music, food trucks, beverages and the ability to catch up with friends. People from every demographic and area of Chattanooga are represented each week. This week’s headlining band comes all the way from Louisiana. Put on your dancing shoes and check out Jeffery Broussard and the Creole Cowboys. with opening band The Foothills. 7 pm Free. 859 Market Street (Miller Plaza). Grab your bike (or borrow one courtesy of the Chattanooga Bicycle Club) and take a spin through the beautiful Chickamauga Battlefield. 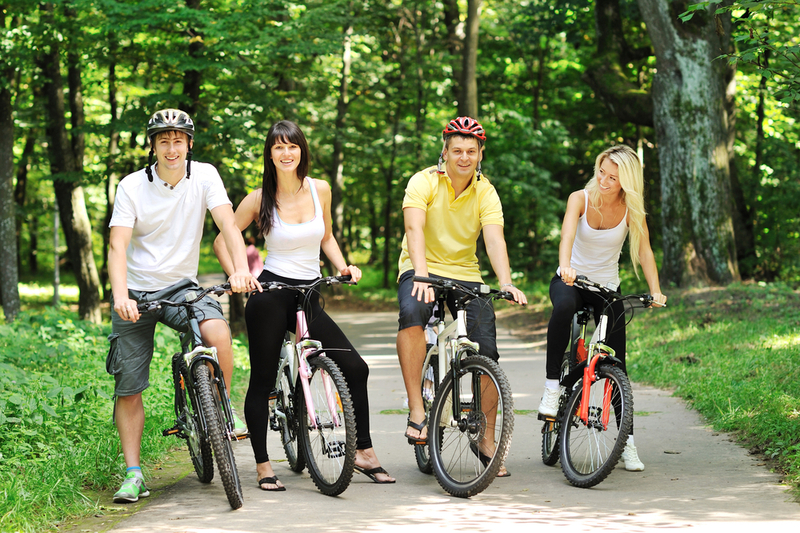 Outdoor Chattanooga offer a series of free monthly bike tours through the park and the public is invited to join in on this leisurely-paced two hour historical bicycle ride. Led by National Park Service rangers who discuss the history of the battlefield while Outdoor Chattanooga staff and volunteers provide ride leadership and support. Reserve your spot by emailing outdoorchattanoogaevents@gmail.com. 9:30 am Chickamauga Battlefield visitor center. Chattanooga Futbol Club takes on the Emerald Force on Saturday. Grab a friend and head to the First Tennessee Pavilion to tailgate and then follow the Chattahooligans to the game at 7:30. This is one of the most fun and well attended sporting events in the Chattanooga area with multiple generations of fans gathering to cheer on the team. Tickets are $10. 1826 Carter Street.